Since the discovery of 5-methylcytosine (5-mC), researchers have been investigating the ubiquitous epigenetic modification known as DNA methylation. Measuring the total amount of 5-mC or 5-hmC (5-hydroxymethylcytosine) allows researchers to gain insight into profound biological processes and identify biomarkers for disease by, for example, comparing the DNA of normal versus diseased populations. 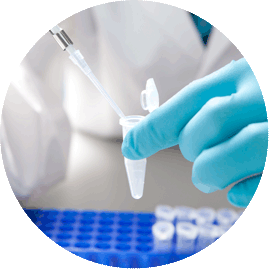 Over the years we have seen the transformation of global DNA methylation assays available and the rise of new technological developments for accomplishing the quantitation of overall 5-mC content in DNA samples. Numerous methods and assays exist, each with their own benefits and limitations, limitations such as large input DNA requirements, sample species restrictions, extensive knowledge of complex protocols, or having to buy and set up costly equipment. This comparison chart offers an overview of the advantages, disadvantages and capabilities of multiple global DNA methylation methods available, including HPLC, LC-MS/MS, LUMA, ELISA-based assays, and more. 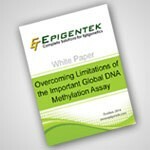 See how to overcome the limitations of various global DNA methylation assays. How Do You Overcome the Limitations of the Important Global DNA Methylation Assay? Accurate measurement of total 5-methylcytosine (5-mC) can be difficult with numerous global DNA methylation assays available, each with its own advantages and disadvantages. Take a look at Overcoming Limitations of the Important Global DNA Methylation Assay, a white paper that describes new and old methods for quantitation of total 5-mC levels, how to overcome assay limitations, and the optimal assay for investigating global DNA methylation.